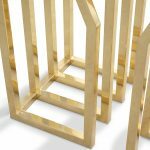 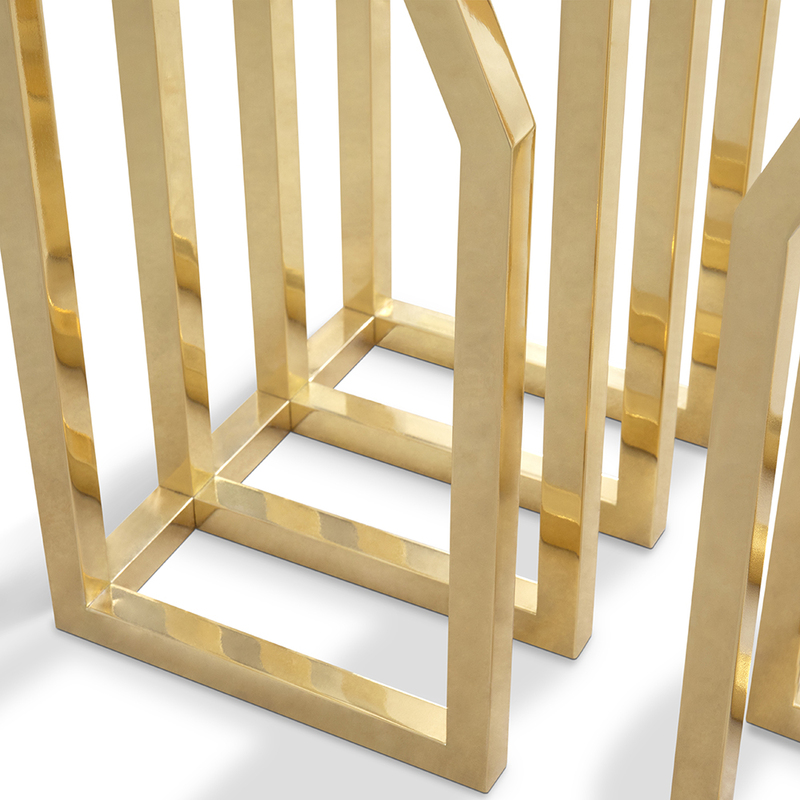 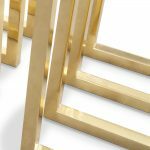 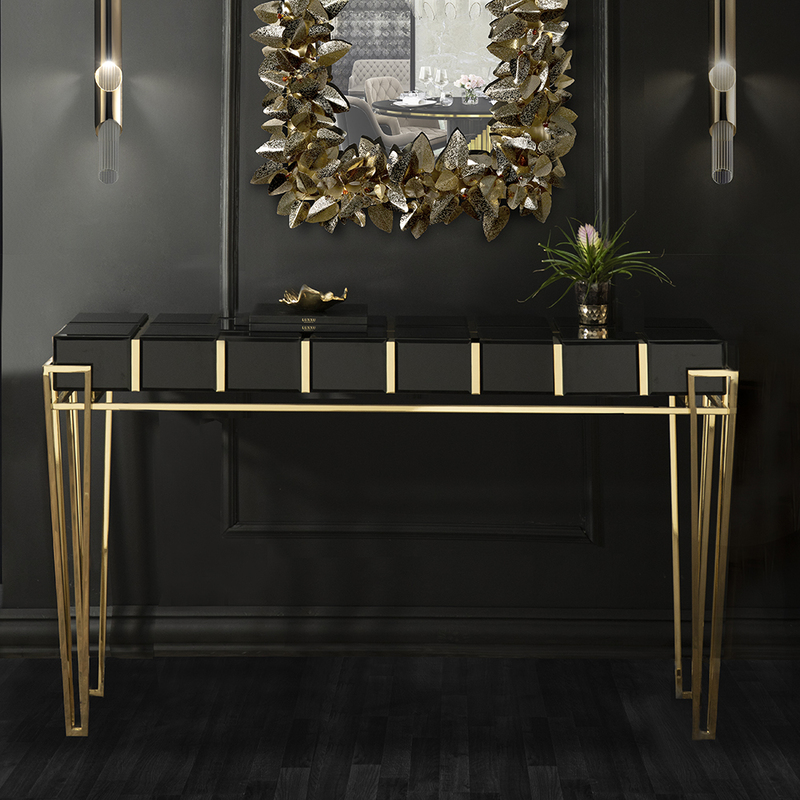 A glamorous piece designed and produced for a modern environment. 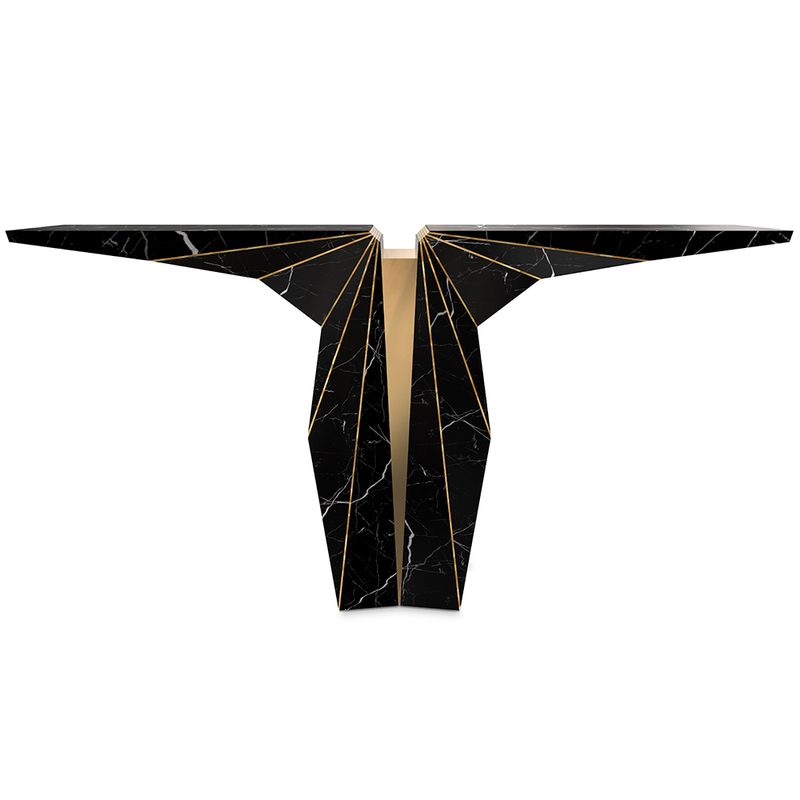 A stunning fusion of marble and metal. 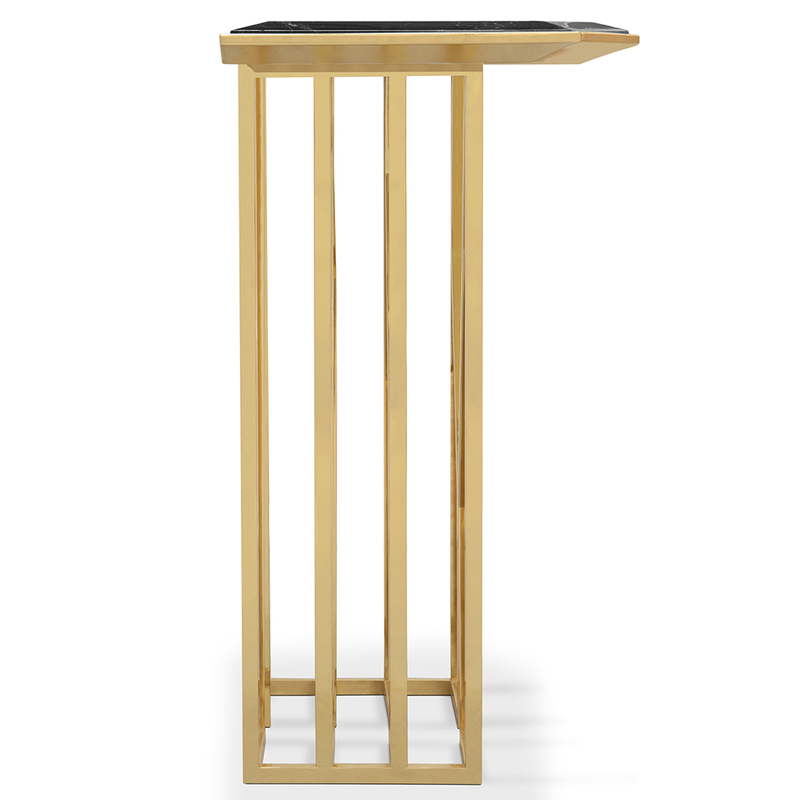 A unique style base which is made from solid brass in a gold plate finish. 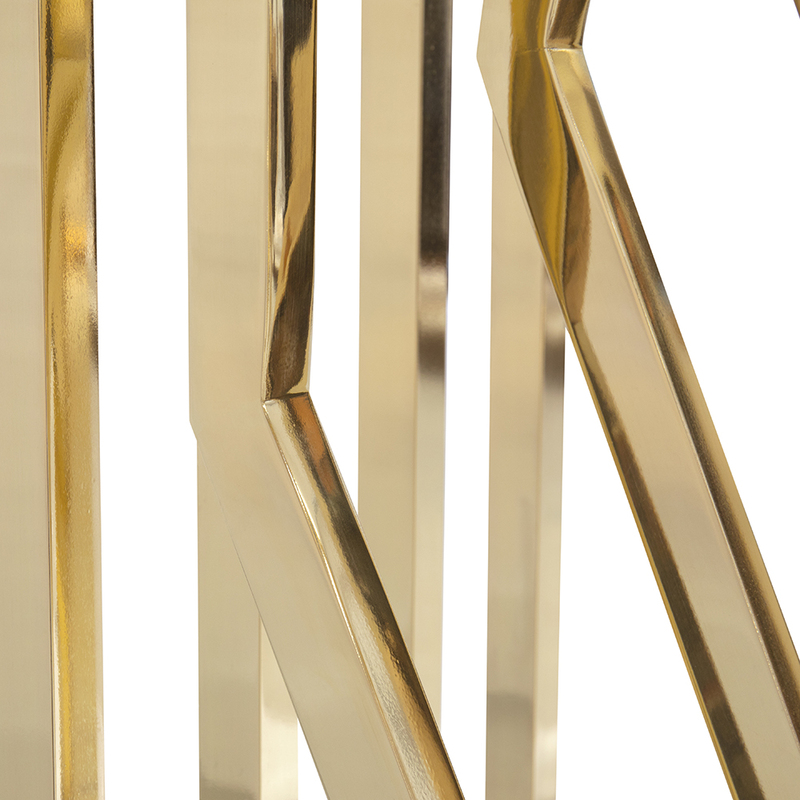 Custom finishes are available on request. 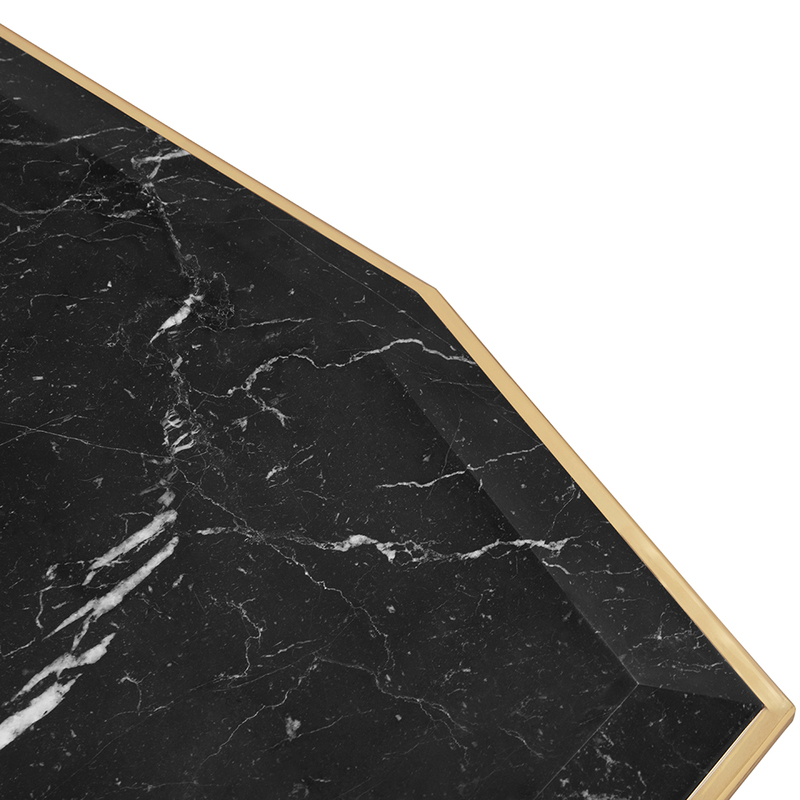 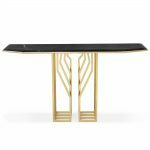 The scarp console consists of a natural nero marquina marble top featuring sleek white streaks. Bespoke sizes can also be produced. 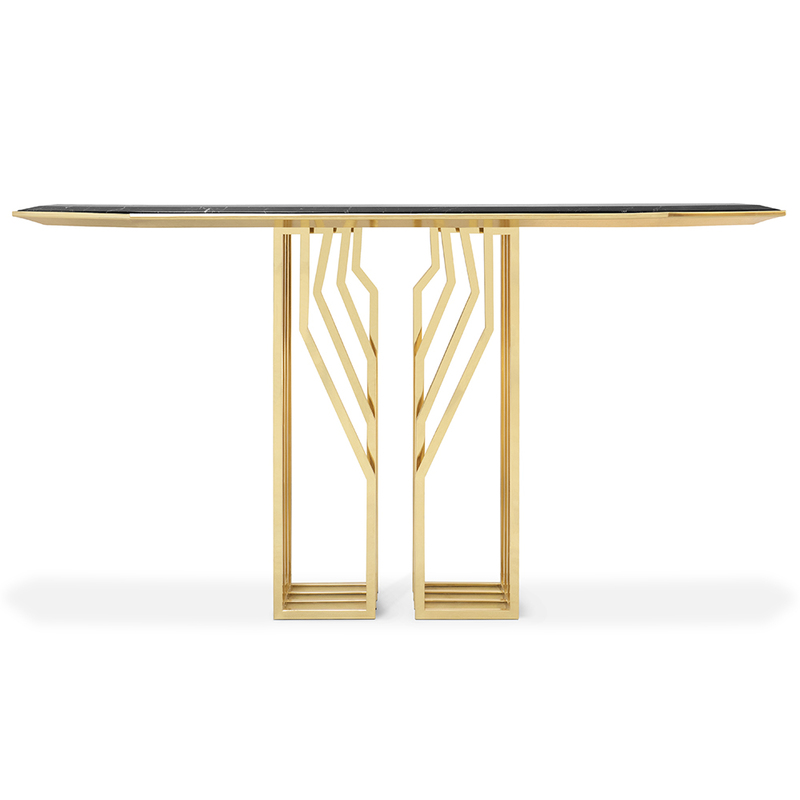 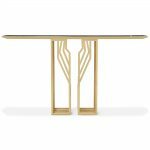 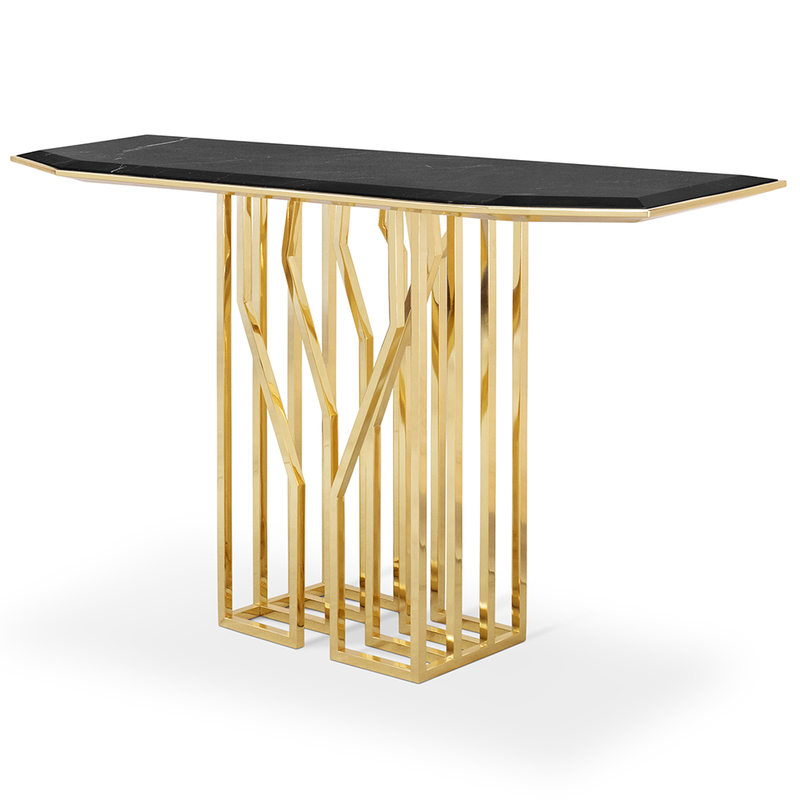 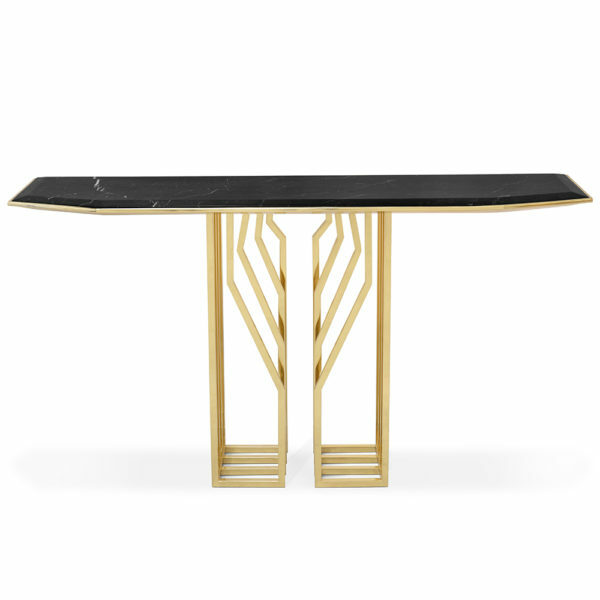 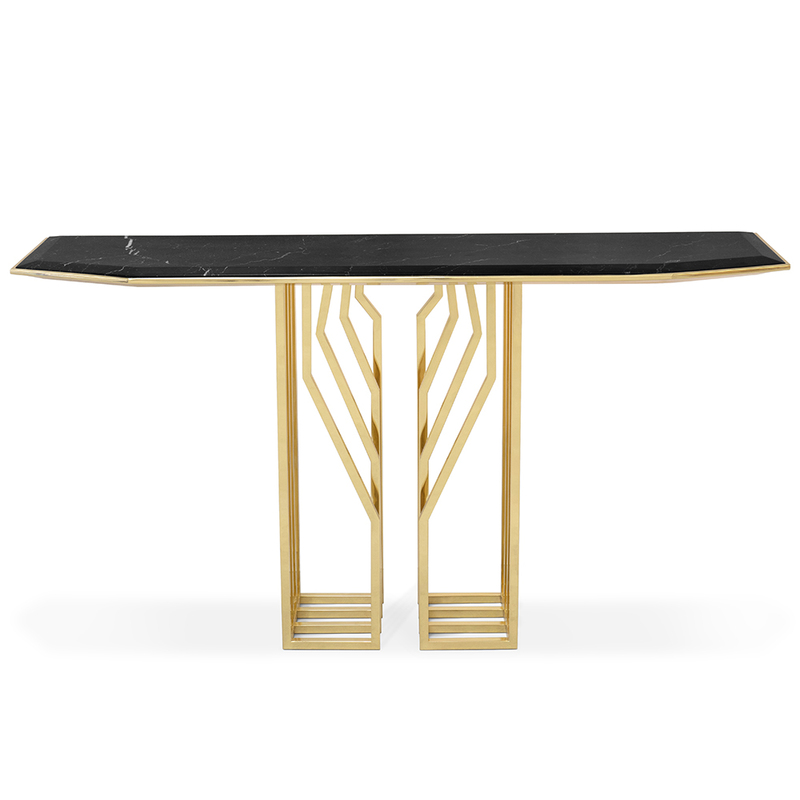 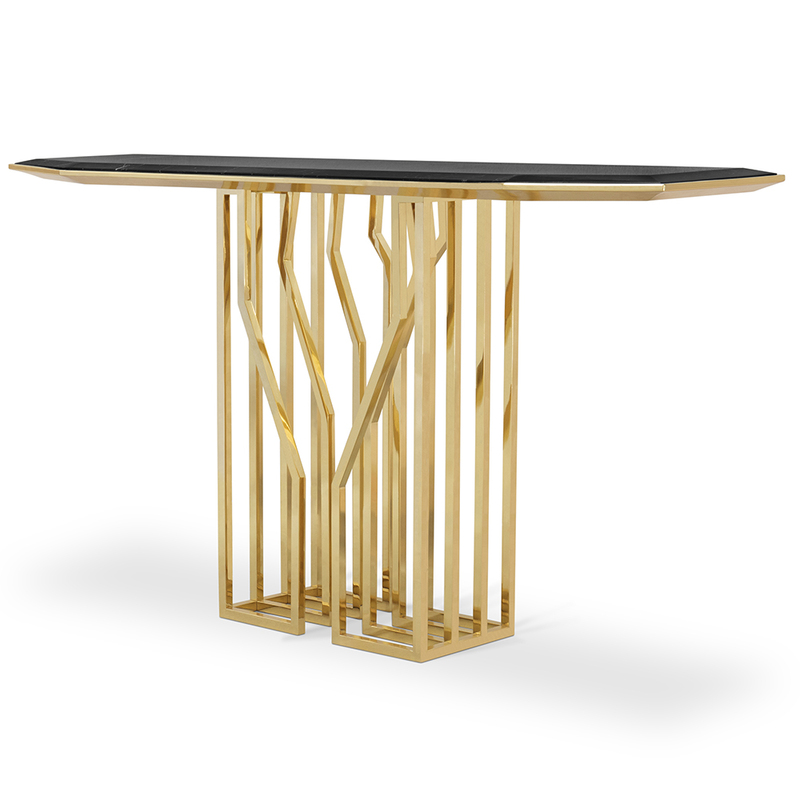 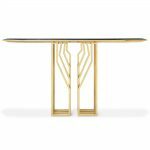 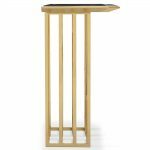 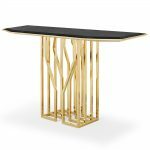 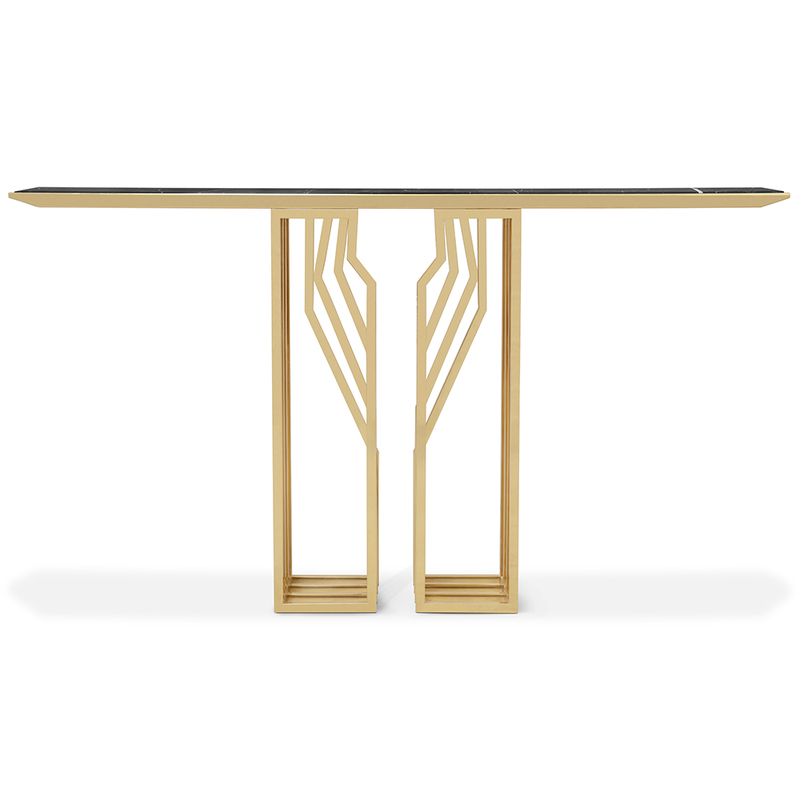 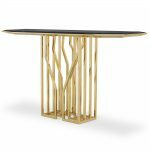 A brand new addition to our collection of luxury console tables.